It doesn’t feel that long ago I was penning the Apertura preview on the back of a wonderful year for Universidad de Chile and Chileans in general, at home and abroad. Sixteen match-days later and we find ourselves looking towards week 17; after which the play-offs between the top eight sides commence. 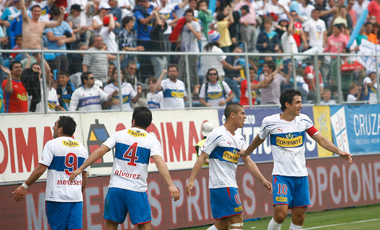 Of the eight play-off spots available five have been confirmed – Universidad de Chile, O’Higgins, Deportes Iquique, Universidad Católica and Unión Española – before the ‘regular’ season concludes. The remaining three spots are currently being occupied by Cobreloa, Huachipato and Colo Colo. However Unión La Calera, Santiago Wanderers, Universidad de Concepción and Audax Italiano can all, however unlikely, claim a place that will extend their season by at least two games. Out of the seven teams who cling to the hope of prolonging their season some have been in and around the upper echelons of the Primera Divisón all year, others have drifted in and out of a play-off place, Concepción have crept into the fold unnoticed while a couple looked to have little chance four weeks ago. The last few weeks has seen me take a hiatus from the Primera División due to busy weekend schedules. But I was back watching on Sunday night as Universidad de Chile trounced hapless arch-rivals Colo Colo in el Superclásico. So here is a run-down of what has gone on recently and how the league is shaping up with only three rounds remaining before the play-offs commence. 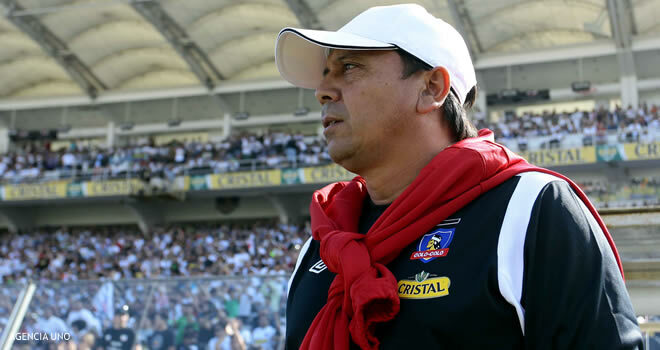 *Expect mentions about perfect Universidad de Chile, Matías Rodríguez, Ángelo Henríquez, el Superclásico, Eduardo Berizzo, Adrian Ramos, José Luis Sierra, Mario Lepe, rejuvenated Audax Italiano, rubbish Colo Colo, Cobreloa’s new coach, slipping Wanderers, Huachipato and those going nowehere. The shape of the Clausura continues to alter – with the exception of the top spot which Universidad de Chile have all but sewn up – after another tumultuous and enthralling weekend in the Chilean Primera Division. There were 27 goals scored in the nine games which kicked off on Thursday (01:00 GMT) due to La U’s impending involvement in the Copa Sudamericana. They travel to Brazil to face Ronaldinho’s Flamengo in good spirits having secured their place in the play-offs defeating Union La Calera late on to end their run of draws and increase their lead at the top to 10 points. La Calera, like Unión Española who were beaten 2-1 by Huachipato, fell out the play-offs to be replaced by Universidad Católica (more about them soon) and Ñublense while Deportes La Serena, Audax Italiano and Cobreloa all strengthened their positions in the play-offs with wins. Palestino moved off the bottom of the Clausura table with a 3-1 win victory in Iquique and Santiago Morning hit bottom of the general table with a 1-1 draw at home to Unión San Felipe. Huachipato came away from the Municipal de La Florida with an unexpected and deserved point as Audax Italiano failed to fully take advantage of second place Colo Colo’s slip-up away to La Serena. Similar to the game between Unión Española and O’Higgins the previous evening the game was played at a frantic pace, helped by the artificial surface at La Florida as the ball zipped about. With both teams set up in a 3-4-1-2/3-4-3 formation and content at playing on the counter-attack with plenty of quick, sharp, vertical passes the game was primed for end to end action and it’s exactly how the first goal of the game came about. Week nine of the Chilean Clausura provided an average of three goals a game over the weekend as Universidad de Chile continued their dominance at the top of the league creating histroy by becoming the first side in Chilean domestic football to win nine consecutive matches. There was also big news at the bottom as Santiago Morning upset the odds with a 3-2 defeat of Universidad de Catolica to rise from bottom of the 18 team league to 13th in one fell swoop. La U ran out comfortable winners in the last game of the weekend, defeating O’Higgins 3-0 at the Estadio Nacional Julio Martinez Prádanos. You can read about the match report from the history making match here. Santiago Morning must have feared the worst when Matias Mier put Catolica ahead after eight minutes but the home side responded in emphatic fashion by not only drawing level, but taking the lead before half-time. Catolica levelled but immediately lost scorer of the first goal Mier who turned villain collecting his second booking of the encounter. Morning won in dramatic fashion with a penalty, converted by Ever Cantero, three minutes from time.